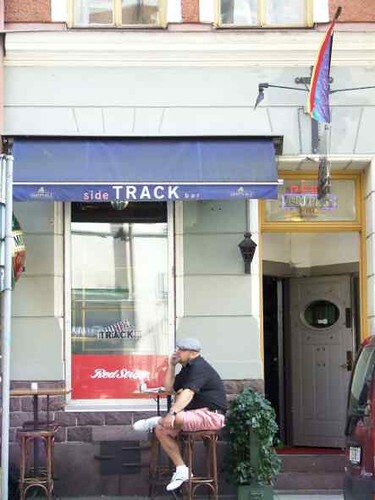 Popular among tourists and locals, Sidetrack is a popular gay bar where patrons often head before a night out clubbing. With its' European charm, the bar typically attracts an older clientel, though you'll sometimes see younger guests as well. A 'regular' crowd typically floods in for after-work drinks and dinner; the kitchen stays open until midnight, and often guests will sit and sip on drinks until they close at 01:00. Sidetrack is well known for its food - they serve traditional Swedish fare to classic pub dishes like fish and chips or burgers and fries, all at reasonable prices. While they don't open until 18:00 for dinner, if you're in the mood for lunch, a Scottish pub above the bar shares the same menu and chefs. Having opened 10 years ago, Sidetrack doesn't have a club atmosphere, but does play popular music and their basement has disco lights for an adventurous types wanting to bust a move.